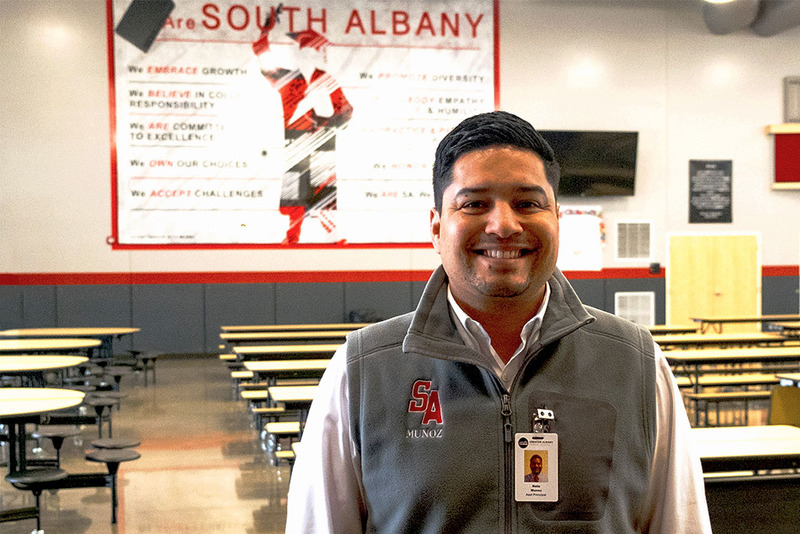 Retiring South Albany High School Principal Brent Belveal will transfer leadership to one of the school leaders he hired. 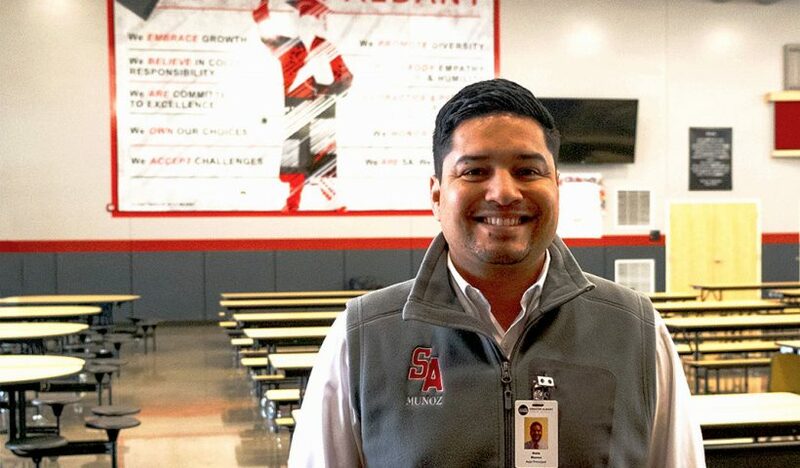 Assistant Principal Nate Munoz will take over as interim principal for the 2018-19 school year, starting in July. Munoz has been at South Albany for two years, coming from Redmond High School. He has been an educator for more than 12 years and has two masters degrees — one in educational assessment and one in educational leadership. His appointment will allow the school to maintain consistency in vision and leadership to continue making progress toward student achievement goals. He said he is glad to be part of the South Albany team that is working to serve kids.